The first SIMPECTT will take place at the Institute of Chemistry of USP (Campus of São Paulo), on September 13-14, 2018. The objective will be to discuss the statistical tools needed in research and publications. The first day is an SPSS workshop and the second day will focus on the case of chemical sensors for the health area: what is needed to transform a successful laboratory sensor into a commercial product? At ZP we have products and services, but what's unusual is that we use the products within the company, so when you get a product from Zimmer and Peacock we are the biggest users and experts on the product as we use them day in day out. 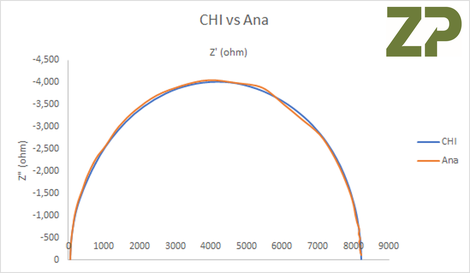 We have a vast range of electrochemical equipment at ZP and so in a recent study we compared the AnaPot EIS versus a CHI instruments potentiostat. Zimmer and Peacock have developed an iPhone app to use alongside their chilli sensing technology for determining the hotness of chillies. In this video Zimmer and Peacock demonstrate a graphene flexible electrode system, in this example we have functionalized it for pH. Zimmer and Peacock is a company focused on our clients and collaborators and getting them to market with the right technology. Zimmer and Peacock are delighted to be exhibiting at the 69th Annual ISE Meeting to be held in Bologna, Italy, from 2-7 September 2018. The meeting will be hosted by the “Nuovo Polo Congressuale Bologna”. Bologna, seat of the oldest university in the western world, has been for centuries the place where academic knowledge is generated and transmitted throughout generations. Now the town is the centre of a vibrant, innovation-driven, high-tech area. To mark the continuity between academic culture and technological progress, the scientific theme of the meeting is Electrochemistry from Knowledge to Innovation. The scientific program of the 69th Annual Meeting will comprise symposia sponsored by all ISE Divisions, covering all the scientific interests of the ISE membership and of the electrochemical community at large. Fundamental aspects of analytical, molecular, physical and bioelectrochemistry will be discussed, as well as their applications to (nano)materials science, energy, environment and biomedicine.